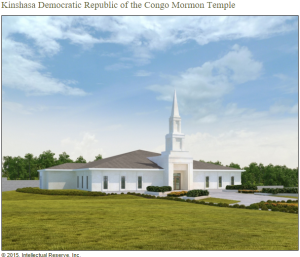 The groundbreaking for the Kinshasa Democratic Republic of the Congo Temple is scheduled for Friday, February 12, 2016. Africa currently has three temples in operation — in Ghana, Johannesburg and Nigeria — and two others have been announced in the Ivory Coast and Durban, South Africa. The First Presidency of The Church of Jesus Christ of Latter-day Saints has announced that temple groundbreakings will occur on two continents in February, in Africa and South America. Ceremonies of turning over shovels of dirt to signal the beginning of construction will be held for the Kinshasa Democratic Republic of the Congo Temple and the Barranquilla Colombia Temple. Both temples were announced at the Church’s October 2011 general conference. Attendance at these ceremonies is by invitation only, with the general public invited to view the proceedings live from local meetinghouses.